Occasionally I whip up a quick blurb about something awesome that I ate aside from steaks. 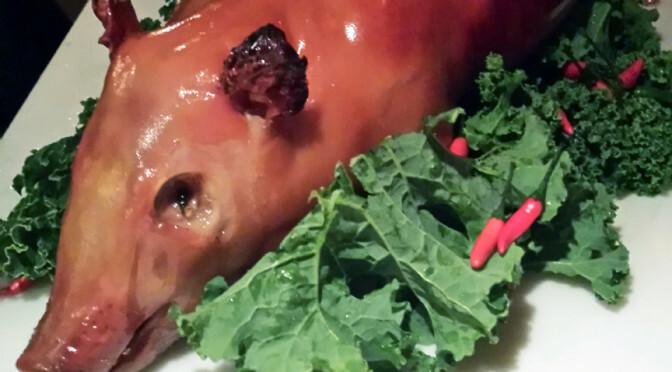 Last night I had an amazing meal at Pig & Khao, which is run by Leah Cohen of Top Chef fame. 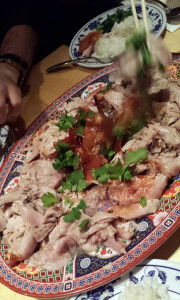 Seven of us feasted upon a whole roasted suckling pig. It was done perfectly. The meat was tender, juicy, and it packed a lot of flavor. The skin, though, is always the best part of a dead pig. DELICIOUS. 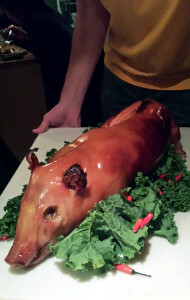 Check out the pics below, and when you get a group together you should definitely try this place.